Those who think that we cannot question historical facts, have not learned the philosophy of History nor been introduced to more exciting strategies of creative and critical thinking and also futuristic thinking. Teachers and university educators who preach ‘official histories’ need to be introduced to the varieties of teaching strategies of teaching History as well as the spectrum of views on what History, from the perspective of history and class and cognitive consciousness, can be. A skilled teacher/university educator will humbly entertain any question on History. The more we question ‘historical facts’ the sharper our thinking will become. The more we question the origin of things, the better we will play our role as creators of history as well as masters of our own destiny. The more we delve into the most challenging questions in History, the healthier our sense of well-beingness of own democracy will be. A healthy democracy is one that teaches each and every child what ‘politics’ mean. In our History class, it teaches the meaning of justice and fairness and of the use and abuse of power. It teaches the process and possibilities of democracy and not of democracy as a product created by the elite few that come from dynasties. It teaches them how to become active and reflective citizens. A good History lesson does not teach children to memorise facts that are suspect, or historical facts that are oxymoronic, or of dead people and dead places and who controls this or that territory, or which kingdom gets overthrown by this or that usurping prince. It teaches them to question those facts and to put those individuals on trial. It puts Christopher Columbus on trial for murdering thousands of Arawak Indians in the process of being canonised as the ‘founder’ of America. A good History lesson does not teach the idea that Parameswara, who fled his kingdom in an unsuccessful coup attempt in Palembang, and next killed Temagi in the then Singapura, and next hunted down by the Thais, and next landed under a Malacca tree – is a hero. It teaches children to be vigilant against rulers who are murderers and plunderers and slave-owners. The story of a glorified Parameswara as a founder is a bad history lesson – how can we still glorify a ‘historical fact’ of an usurper and a murderer as a founder of Malacca? It is like glorifying the history of Manhattan island, New York City – worth 24 dollars in real estate value and became a haven for smugglers, pirates, and bootleggers. A good history lesson makes history that come alive by allowing children to play the role of makers of their own history. It allows children to put Parameswara on trial for murder and revolt. It teaches children to question the founding of Malacca and the intention of the author/court-propagandist Tun Sri Lanang who wrote it. A good History class is one that teaches children to revise, debunk and deconstruct history as a tool of mass deception. It challenges students to look at history in radically different ways to make history come alive, subjective, and ever revisionist. A good History class teaches children the people’s history of the land – of those who died building monuments, istanas, factories, bridges, tunnels, or in wars between the greedy sultans and traditional rulers of the region. These are the unsung heroes of history that our children ought to be taught to honour. A good History lesson teaches children not other people’s history but of their own – beginning with one’s personal history, next to one’s family, and one’s people – all within the framework of history that does not alienate and marginalise human beings. The way we still teach History and Social Studies reflects why we Malaysians cannot yet evolve from the consciousness of ‘waiting for the messiahs/saviors/matrieya/al-Mahdi/ Perdana Menteri’ to the consciousness of understanding the Self as the true ruler of the Kingdom within. Already our land is littered with names after names of individuals who wield dynastic power since modern time immemorial – names of those deserving or not. These names are inscribed on road signs, billboards, lorongs in kampongs, landmark buildings, corporate towers, stadiums, schools, higher education institutions, and deep in the consciousness of the people through media control of the human mind. We become colonised by these names, signs, and symbols. The mind becomes paralysed being colonised by these concepts, signs, and symbolism that govern the daily economic, social, and political existence of the people that are being made objects of other people’s history. Let us teach our children that they too can become the next Prime Minister. Teach our teachers how to creatively teach Civics and History and to acquire the art and science of Revisionist Civics, Counter-factual History, and Radical and Transformational Leadership. Our political conversations will then be more meaningful and our road to democracy will be more enjoyable. 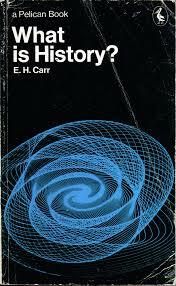 “Man makes history,” said the great historian E.H. Carr. 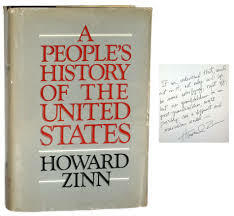 It is the “people’s history” as American historian Howard Zinn would say, that ought to be honoured. History is that field of study/enterprise so powerful a mental glue that can integrate or disintegrate a nation. It becomes crucial what perspective of history we use in crafting its ancillary called Citizenship Studies/Kenegaraan. We must begin to reconceptualise the way we approach teaching it. Whose history is of most supreme? What kind of history is most meaningful to the individual? From what point of view is history written? When do history textbooks get revised? How does history contribute to lethal ethnocentrism? Under what circumstances do historians lie? Is there such a thing as ‘historical facts’ when historical accounts themselves are biases reconstructed based on selective memory and written by those who own the pen? Who gets marginalised in the process of historicising? When will ‘history’ become ‘her-story’? What images of women, immigrants, minorities, natives are presented in history textbooks? In a multiracial and pluralistic society, how is a national history textbook written? Must history continue to glorify individuals, despots, autocrats, dictators, symbols of slavery and oppression, buildings, etc? How do we teach children to write their own histories so that they may become makers of history instead of being fed with other people’s history? How do we make history lessons come alive? These are my thoughts and my questions on how to teach History. Let us even re-evaluate the lies our History teachers told us and continue to tell us. DR AZLY RAHMAN grew up in Johor Baru, Malaysia and holds a Columbia University (New York City) doctorate in International Education Development and Masters degrees in the fields of Education, International Affairs, Peace Studies and Communication. 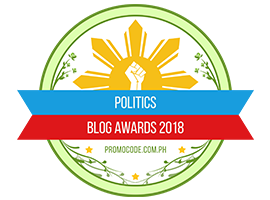 This entry was posted in Democracy, Education, History, Malaysia, Philosophy of History, Political Philosophy. Bookmark the permalink. Well, so we therefore have to ask what about Prophet Muhammad, a flesh-and-blood historical figure, who put so many people to the sword in order to spread the “peaceful” religion of Islam, and telling his fighters to take as “wives” the women of the conquered people? Was he any better than Christopher Columbus? Don’t forget that Christopher Columbus was also fighting and murdering for his God also. So you have also been taught and exposed to historical accounts of Prophet Muhammad (Peace Be Upon Him) that are “biases reconstruct based on selective memory and written by those ( with particular interests and) who own the pen”. 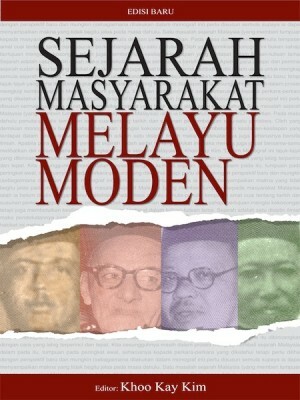 Asking my own history as a pendatang who grew up in Tanah Melayu. We have to ask if Chinese had exploited our tinmine. Ask if Rajah who invited them opportunists. We have to ask if taukeh like tan kah kee who made his fortune in tanah melayu but spent all of his fortune in xiamen a good man? I think he is a good man. But, thus can I think something is wrong with me by thinking so? I have to ask who is my maternal great grandfather who became the first senator from guangdong under kuomingtang, but also well respected by chinese communist party, though he has never once joined communist party. What motivated him to be amongst the first to give out his land, fought his own kuomingtang, sent his two sons out, but refused to leave Communist China. Was communism really that attractive for a rational educated lawyer. Most of all we have to ask if May 13 is a pogrom. On herstory.. our first lady have to wonder why her daughter Nooryana’s future children might have to go through naturalization to be Malaysian citizens as per our Constitution, if they were to choose to be Malaysians. Noentheless, why would they want to be Malaysians or even citizens of Kazakhstan. ( Wahai Si-mulut celupar , pada kaul2 Jahilliah ) …..
” Muhammad (S.A.W) did not claim to be the founder of a new religion , his mission was to restore the earlier religions to their pristine purity. The Muslim believes in a chain of inspired prophets and teachers , who taught the same truths, beginning with the dawn of religious consciousness in man. With the evolution , progress, and advancement of humanity , the Divine Will reveals and manifests itself more clearly and distinctly. They believe in the Divine Revelations of all earlier prophets, and the Kur’an is the latest Revelation of them all, and has been sent to revive and consolidate the fundamental truths of religion , to the end that it might continue in earth…. Moral : Do not cheat your own self. Man has the yearnings, or the Proclivity to his own Primordial nature , ‘ programmed ‘ within him , so you may Pretend about your disbelief…..
” The worst way to understand history is through an eraser”. I wonder who said this. Seek for knowledge…..jangan celupar mulut ! You have quoted a verse difficult which has been quoted by Isa also, after Matthew 6’s ask, seek and you will be given. It is amazing that it coincides with your comment on ‘seek for knowlege’. It was very difficult and condescending verse. # Matthew 6:7. “Do not give dogs what is sacred; do not throw your pearls to pigs. If you do, they may trample them under their feet, and turn and tear you to pieces. It took a lot of theologians to figure out why Isa said what he said, until the last decade with this generally accepted understanding amongst this generation of Isa believers. Glad you have shared with the same generous heart like Isa. Dallas Willard wrote a book called The Divine Conspiracy, which is a commentary on the Sermon on the Mount. Willard says it has bugged him for years that when people get to this verse they believe it’s talking about certain kinds of people who are so bad and so unworthy we shouldn’t even talk to them about the truth. He says if that’s what Jesus is saying, then he is the biggest living contradiction you’ve ever seen, because Jesus Christ did exactly what verse 6 looks like, what people are saying you shouldn’t do. @katasayang , my sincere appreciation to you for your response, but without being personal on my part, that because Muslims have been ingrained to Revere all past Prophets ( in the Holy Book ), I failed to understand as to the reason why when it comes to Prophet of Islam, some tend to make snide remarks or innuendos with demeaning motive/s ? Not easy to go through such voluminous ‘ teachings ‘ brought by all of them, it will be a study of a life-time for every individual…. (or believers & followers ) . As for the Prophet of Islam , it is even conjectured by notable Western scholars, that Muhammad (pbh) was an ‘UNLETTERED” Prophet, and many prophesies recorded even showed there were Predictions on Scientific truths to be discovered more than 1000 years after the Prophecy – How’s that possible. Ha…Haaa….katasayang, looks like we both could submit our desertations for a Ph.D (unless you already have one ) ? But…but… I admire most from the Christian culture of the West ( that includes China, Korea, or Japan) , is the Great, Great Scientific culture , to deal with all the Problems of living in our Real world of Secularism. Which means , tremendous amount of hard, hard work in our real world to OVERCOME the Law of Matter , and that translates to being highly Industrious through the Scientific culture. People cannot be on the Prayer mats alone all he time, day in day out, expecting the Great One Above to ‘spoon-feed’ Mankind in this real world of matter & flesh……THAT, I have to say, is the current Fallacy in the Psyche of the Muslim Communities of the Word ! And, Western Christian Culture have excelled exceedingly well ! Has Mankind not benefitted tremendously in relation to his worldly existence ? To me, what ever written is not important. It is what has been practised that matters. Words can be beautiful and pure, it is the result that counts.